Acupuncture is a traditional healing medicine that originated in China over five thousand years ago. Acupuncture was the primary medicine in Asian centuries over centuries. Acupuncture involves procedures of stimulating points in the body using thin needles by hands or electro-stimulation. 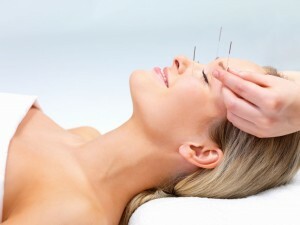 Acupuncture needles are disposable, (one time use) sterilized needles, which is regulated by FDA. Currently, licensed acupuncturists have to be certified by CCAOM (Council of Colleges of Acupuncture and Oriental Medicine). Acupuncturists have to go through Clean Needle Technique to ensure that their needling practices are safe and clean without any chance of infection. Acupuncture stimulates acupuncture points in the body. Meridians, or channels in the body, are very similar to vascular system (pathway of blood circulation), and nervous system (nerve pathway). The vascular system connects to every organ in the body, supplies nutrients, and takes away waste products. Th nervous system connects the peripheral part of the body to the central part of brain (brain and spinal cord), controls senses, perception and motion, which is modulated by electric conductance and neurotransmitters. Acupuncture points are like nodes of this neurovascular pathway. Inserting the needles on acupuncture points increases the blood circulation in the area, and the stimulation travels the pathway, making connections with the part of the body or organs, stimulating the brain, and evoking the release of hormone and neurotransmitters. MRI studies of acupuncture show acupuncture needle stimulation greatly diminishes pain-related activity in the brain. Many research show that acupuncture changes brain activity. Beta-endorphin, enkephalin – A natural morphine produced in the brain, functions as pain reducer, releases feelings of euphoria. Serotonin – As is used in anti-depressants, serotonin plays an important role in people’s brain functioning and sense of wellness. It elevates the mood and increases motivation. Substance P: Inserting needles in the area causes localized muscle relaxation, blood vessels to dilate, and transcend message to cause immune response to fight infection and repair tissue. As you can see from the explanations above, acupuncture is very effective in pain reduction. Any pain in the body can be mediated by those hormone and blood circulation. 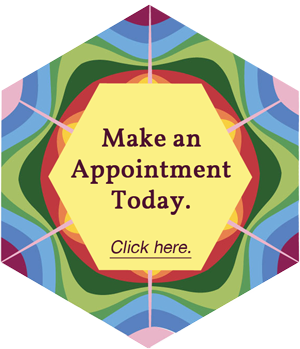 Acupuncture can treat most of the pain conditions. Structure of the body may not change, but perception of pain in the brain can be altered by acupuncture or electric stimulation. Electric stimulation can disrupt the pain pathway and decrease the inflammation.